Lisa Fernley and her company Lime-IT have won her case to be considered outside IR35. She had taken the case, with PCG funding, to the Special Commissioners. 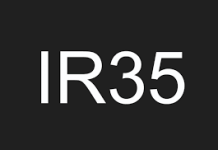 The Inland Revenue had previously told her that her contract was inside IR35. Well, now they‘ve been told by the Special Commissioner that it wasn‘t. The Special Commissioner declared Lime-IT to be a genuine business and that Lisa was not a disguised employee, even though her contract had lasted for 12 months. 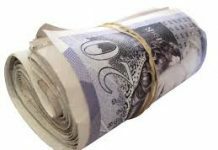 Although it is not binding in Case Law, this should give contractors a great advantage when they and their representatives are dealing with the Inland Revenue, and the IR will have to be much more cautious when dealing with contractors in the future. 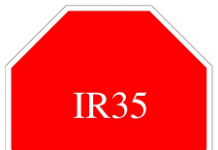 According to a poll on NamesFacesPlaces (see Polls), 36% of contractors have made changes to their contracts to take them outside IR35. This should give them more confidence, as it should to the 27% who have said that they have done nothing. According to the judgement, ‘The issue was whether, if the Appellant (Lime-IT) and ERS (the agency) had not existed so that there was a direct relationship between Miss Fernley and Marconi, she would be an employee’. The judgement is pretty devastating (see our following article ‘Reasons for the verdict: What Contractors Can Do to Stay Outside IR35’). It is in Lisa Fearnley‘s, and other contractors‘ favour on so many counts. We always knew that we weren‘t ‘˜disguised employees‘ as Dawn Primarolo and the rest of the Government had said we were. Even though, Lisa and Lime-IT have several employees now, unlike most contractors, there are still so many other areas where the Special Commissioner ruled in her favour, e.g. irregular hours, charging VAT, having her own laptop, having ‘˜contractor‘ on her badge, sending invoices, and having difficulty with being paid, that it sounds pretty much like most contractors would fit under the description of being small businesses rather than disguised employees. This sounds like a pretty heavy blow to the Inland Revenue and to the Government departments involved. It doesn‘t look like the IR35 tax is going to be the great boon that they thought it would be. Special Commissioners can recognise the difference between a small business and a disguised employee, even if Government Ministers can‘t. Lisa was going to fight her case anyway, with or without the support of the PCG, but it was useful that the PCG were able to use their funds to back her in the case. It gives the extra message to the Government, and to the Inland Revenue, that contractors are united, and that if you take on one, you take on them all. It gives them a strong message not to treat contractors as if they were individuals without any clout. They‘re going to be running out of Champagne soon down at the PCG with all their recent victories on both the Fast Track Visa, and now on their cause celebre, IR35. I think that Lisa Fearnley should be added to the list of contractors in the Contractor Hall of Fame that already includes Andy White (PCG founder), and Gurdial Rai and Philip Ross the heroes of the suspension of the Fast Track Visa scheme.